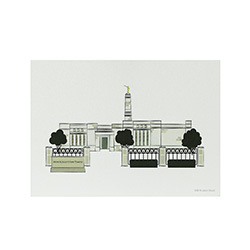 This beautiful illustration of the Bountiful Utah Temple is designed and printed in Utah by artist Jason Stucki. 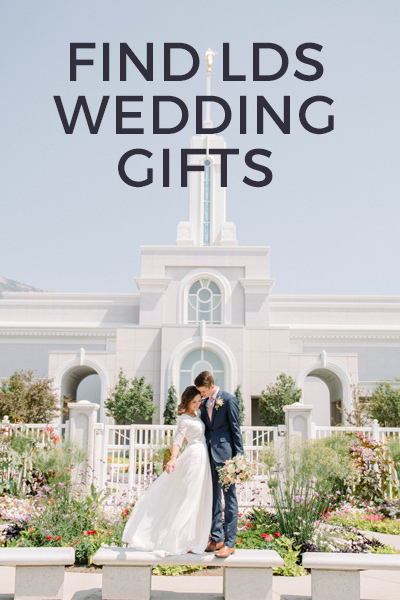 His young daughters' love of LDS Temples inspired him to begin drawing simple and recognizable artwork that children and adults alike can love. 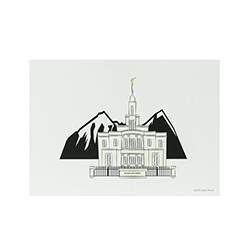 This beautiful illustration of the Brigham City Utah Temple is designed and printed in Utah by artist Jason Stucki. His young daughters' love of LDS Temples inspired him to begin drawing simple and recognizable artwork that children and adults alike can love. 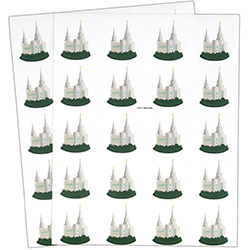 This beautiful illustration of the Cedar City Utah Temple is designed and printed in Utah by artist Jason Stucki. His young daughters' love of LDS Temples inspired him to begin drawing simple and recognizable artwork that children and adults alike can love. 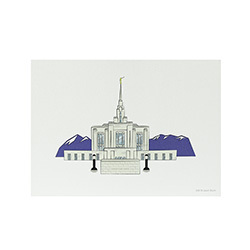 This beautiful illustration of the Provo City Center Temple is designed and printed in Utah by artist Jason Stucki. 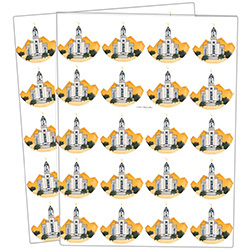 His young daughters' love of LDS Temples inspired him to begin drawing simple and recognizable artwork that children and adults alike can love. 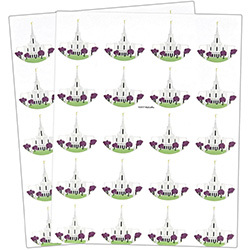 This beautiful illustration of the Draper Utah Temple is designed and printed in Utah by artist Jason Stucki. 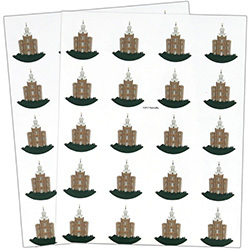 His young daughters' love of LDS Temples inspired him to begin drawing simple and recognizable artwork that children and adults alike can love. 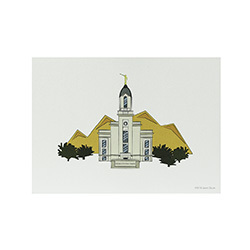 This beautiful illustration of the Jordan River Utah Temple is designed and printed in Utah by artist Jason Stucki. 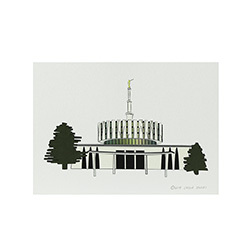 His young daughters' love of LDS Temples inspired him to begin drawing simple and recognizable artwork that children and adults alike can love. 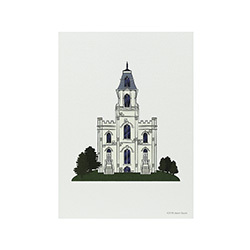 This beautiful illustration of the Manti Utah Temple is designed and printed in Utah by artist Jason Stucki. 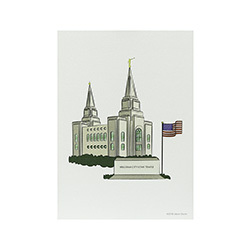 His young daughters' love of LDS Temples inspired him to begin drawing simple and recognizable artwork that children and adults alike can love. 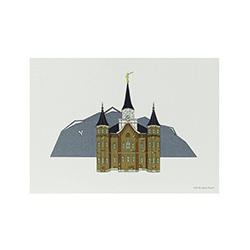 This beautiful illustration of the Monticello Utah Temple is designed and printed in Utah by artist Jason Stucki. 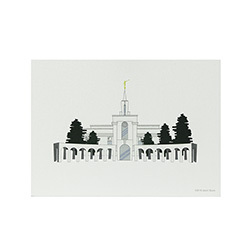 His young daughters' love of LDS Temples inspired him to begin drawing simple and recognizable artwork that children and adults alike can love. This beautiful illustration of the Mt. 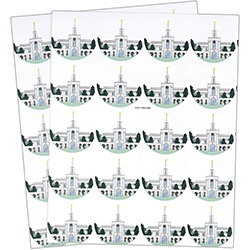 Timpanogos Utah Temple is designed and printed in Utah by artist Jason Stucki. 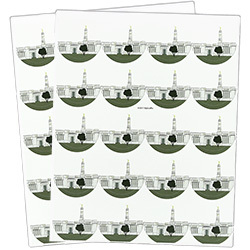 His young daughters' love of LDS Temples inspired him to begin drawing simple and recognizable artwork that children and adults alike can love. 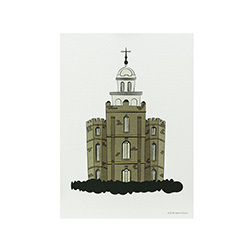 This beautiful illustration of the Nauvoo Illinois Temple is designed and printed in Utah by artist Jason Stucki. His young daughters' love of LDS Temples inspired him to begin drawing simple and recognizable artwork that children and adults alike can love. 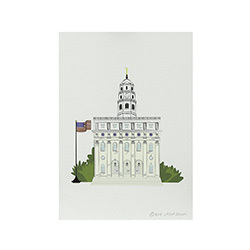 This beautiful illustration of the Ogden Utah Temple is designed and printed in Utah by artist Jason Stucki. His young daughters' love of LDS Temples inspired him to begin drawing simple and recognizable artwork that children and adults alike can love. 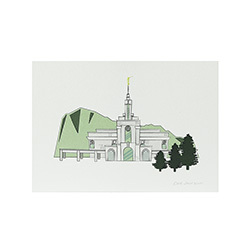 This beautiful illustration of the Oquirrh Mountain Utah Temple is designed and printed in Utah by artist Jason Stucki. His young daughters' love of LDS Temples inspired him to begin drawing simple and recognizable artwork that children and adults alike can love. 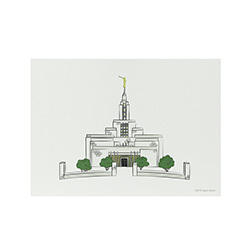 This beautiful illustration of the Payson Utah Temple is designed and printed in Utah by artist Jason Stucki. His young daughters' love of LDS Temples inspired him to begin drawing simple and recognizable artwork that children and adults alike can love. 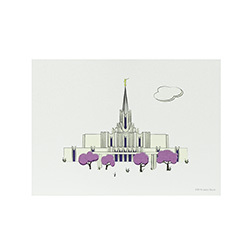 This beautiful illustration of the Provo Utah Temple is designed and printed in Utah by artist Jason Stucki. His young daughters' love of LDS Temples inspired him to begin drawing simple and recognizable artwork that children and adults alike can love. 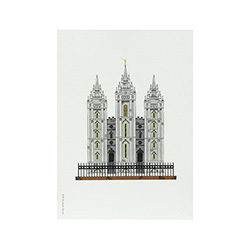 This beautiful illustration of the Salt Lake City Temple is designed and printed in Utah by artist Jason Stucki. 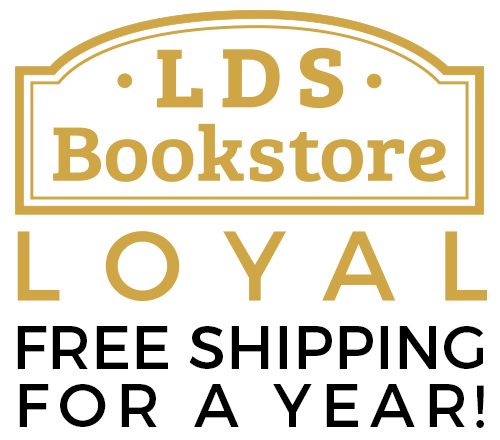 His young daughters' love of LDS Temples inspired him to begin drawing simple and recognizable artwork that children and adults alike can love. 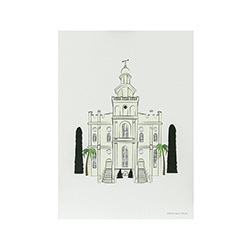 This beautiful illustration of the St. George Utah Temple is designed and printed in Utah by artist Jason Stucki. 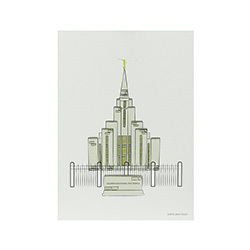 His young daughters' love of LDS Temples inspired him to begin drawing simple and recognizable artwork that children and adults alike can love.